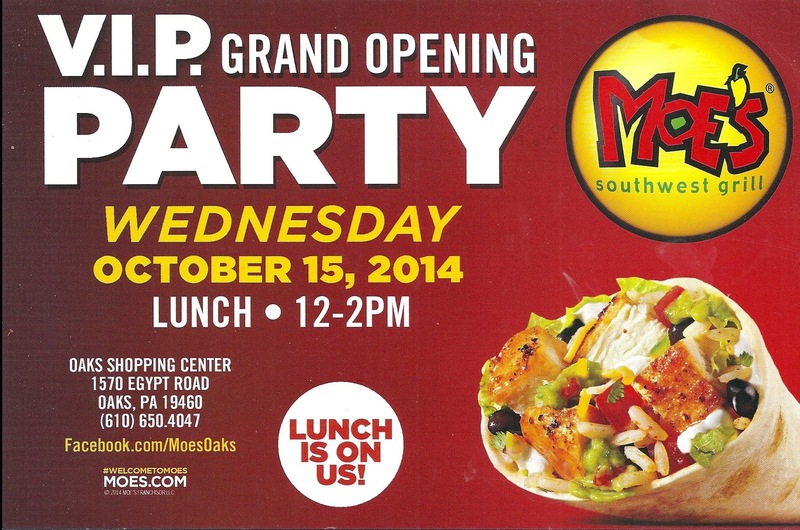 On Thursday 16 October 2014 Moe's Southwest Grill in the Oaks Shopping Center opens to the general public. These coupons were distributed to the stores in the local area. They are to be used by employees with company ID. I think that was downright neighborly. 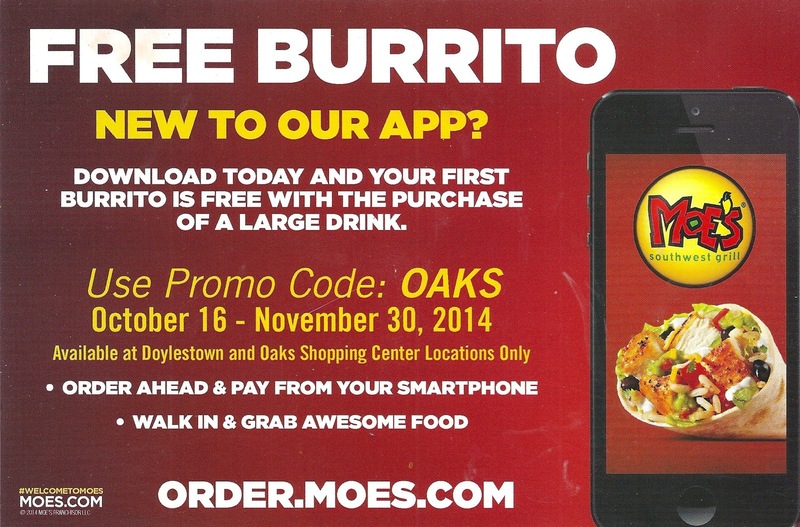 Anyone can get this free burrito (with purchase of a large drink) for downloading the Moe's app. Moe's should be a welcome addition to the food offerings in Oaks. My grandparents surnames are жук, хома, богатыюк and верба. My maternal grandmother, жук, hailed from the Carpathian Mountains in Galicia. Paternal grandmother, хома, claimed she was Russian but lived in Poland. 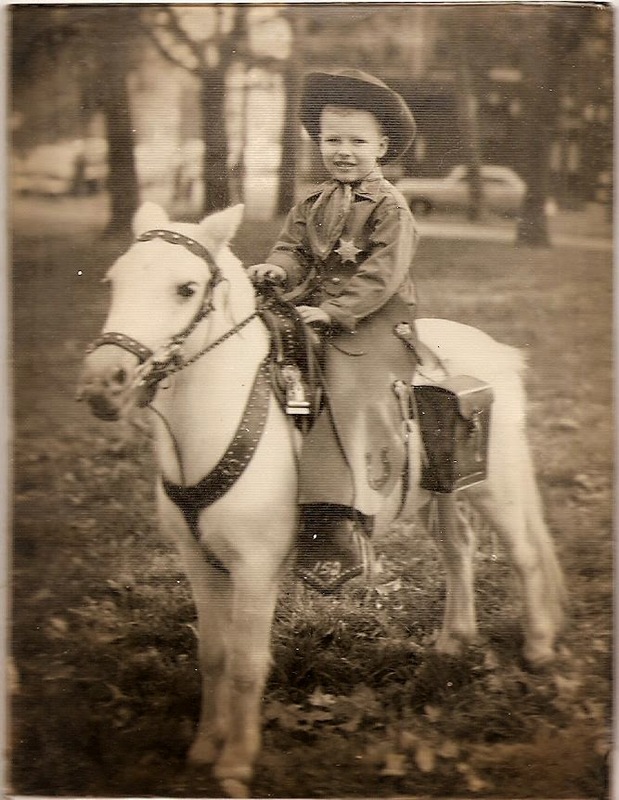 Maternal grandfather, богатыюк, lived in Ukraine, eldest son of a sheriff. Paternal grandfather, верба, the eldest of all my grandparents, I think, was Byelorus. 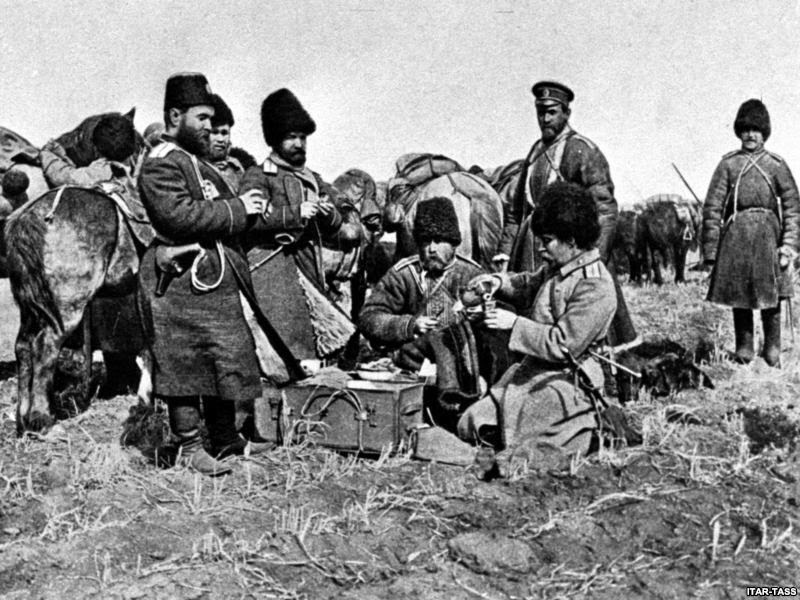 He traveled the Trans-Siberian railroad to fight in the Russo-Japanese War. Grandpop Verba made his way to the USA just before the turn of the 20th century. The other three arrived here in 1913, all just about 16 years of age. They settled in parts of Philadelphia - Northern Liberties, Port Richmond and South Philadelphia. They worked hard. Their backs ached when they return home each evening. They raised their children in the Great Depression. They sent their boys off to Europe to fight the Germans in WWII. Their boys returned home, safely. All their children, two boys and five girls, married. Their girls stayed at home and raised fifteen children. I was raised in mixed ethnic community of South Philadelphia. My house was between the Irish on Second Street and the Italians west of Fifth Street. On my block lived eastern European Jews, Lithuanians, Polish, Italian, Irish, Slovakians and one African-American woman. I saw differences. I saw similarities. We were all in the same melting pot. In elementary school the other children would ask me what I was, ethnically. I found it easier to just say I was Russian. Although at that time, Russian may not have been the politically correct ethnicity to espouse. Being in the midst of the Cold War and all. Nonetheless, I stuck with Russian as my ethnicity for most of my childhood. I have always thought it ingenuous that any ethnicity would think it was pure- not commingled with other ethnic bloods. Take for instance the Irish. That island has been visited by Norse, English, Spanish and of course the little people. 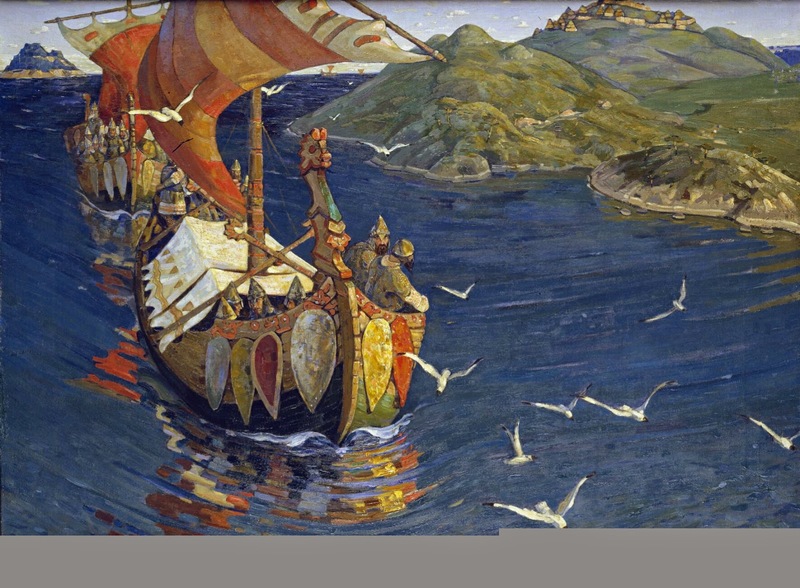 Russia gets its name from the Rus, a nordic term for "those that row". 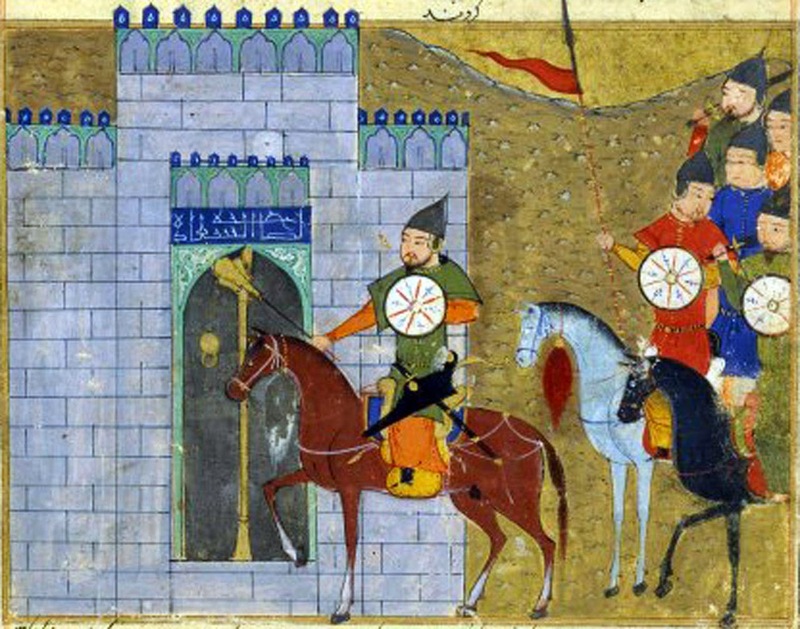 It has been invaded and seeded by Tartars, Mongols and French over the years. Pure is really out of the question for any ethnic group. So I wonder what mix of ethnic bloods course through my veins? I'll bet I have blood of Genghis Khan in me. Of course the Genghis Khan bet is a good one with 1 in 200 men in the world being direct descendants of the Asian conquerer. Plus as my paternal grandmother grew older, she had an Asian look about her face. I want to find Viking blood in me, too. Great brave explorers were those men who rowed the rivers of eastern Europe and sailed west to North America without charts nor compass. A journey into the unknown. Back in the late 70's I was drawn into genealogy by the TV mini-series "Roots". I purchased books with blank diagrams to plot my family tree. Blank still, they sit on the book shelf. Today, my interest in genealogy is stirred again by TV. There are two shows "Who Do You Think You Are", on TLC and "Finding Your Roots", on PBS that investigate genealogy. My appetite is whet once more. My wife has family origins in Ireland and England. There exists a whole industry for finding your Irish roots. However, my journey will not be so easy back in the old countries of my origins. The Soviet Union, WWII and now Mr. Putin and all that is happening in eastern Ukraine just might make my path difficult to navigate. Safe and sound here at home in the suburbs of Philadelphia, I am contemplating having my DNA tested. That test might satisfy my curiosity about any Asian and or Viking origins. Or, it may not. Whatever the future holds of my past, I am itching to start my journey. Even if I start without taking one physical step. 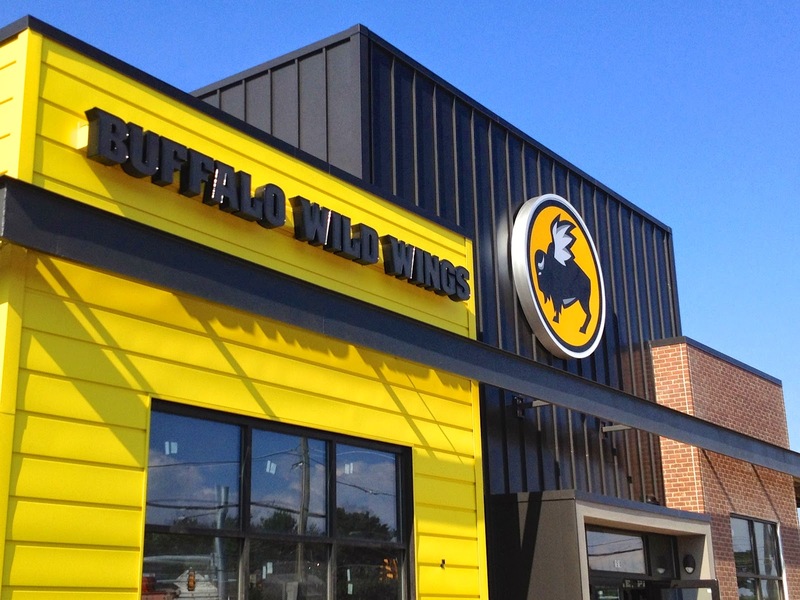 Buffalo Wild Wings opens for business tomorrow, 22 September. 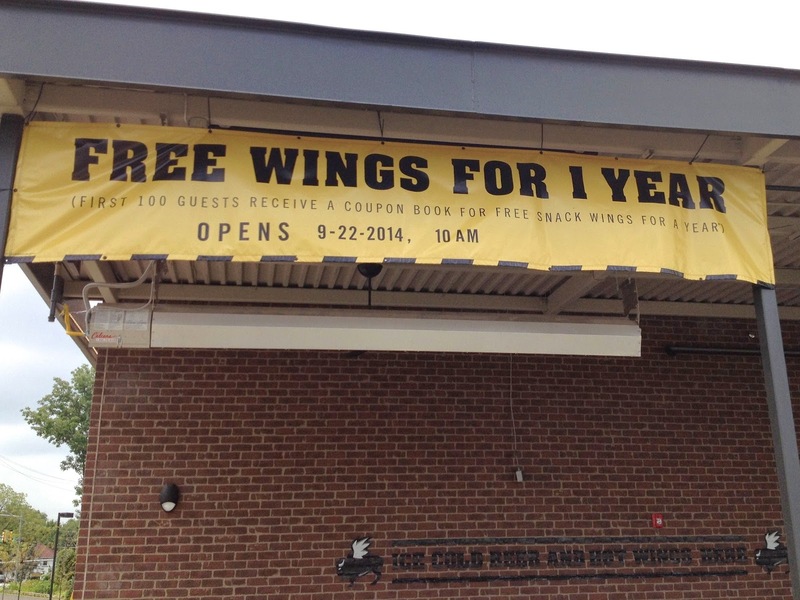 BWW is offering one year of free snack wings to the first 100 customers. I wandered over to Oaks Shopping Center to see what kind of activity there was at BWW. To my surprise, there was not even one car in their parking lot. No line. No one in sight. Nothing going on there. I drove around the lot for the remainder of the center. 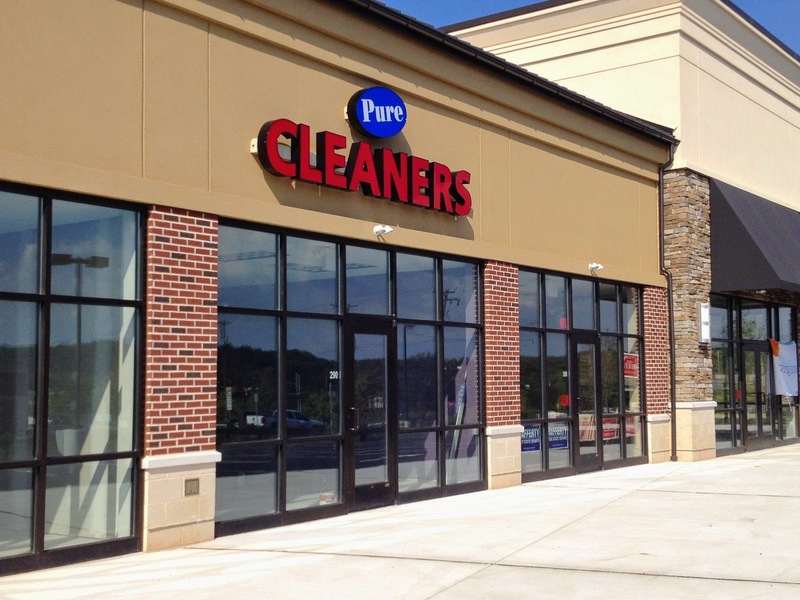 I spoke with someone working in Pure Cleaners. 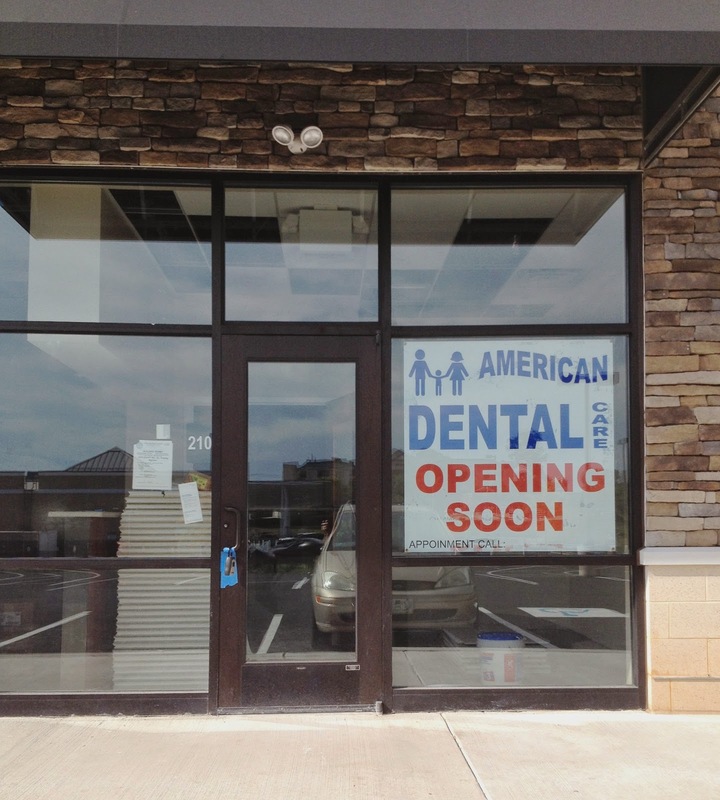 Expect them to open within two or three weeks. 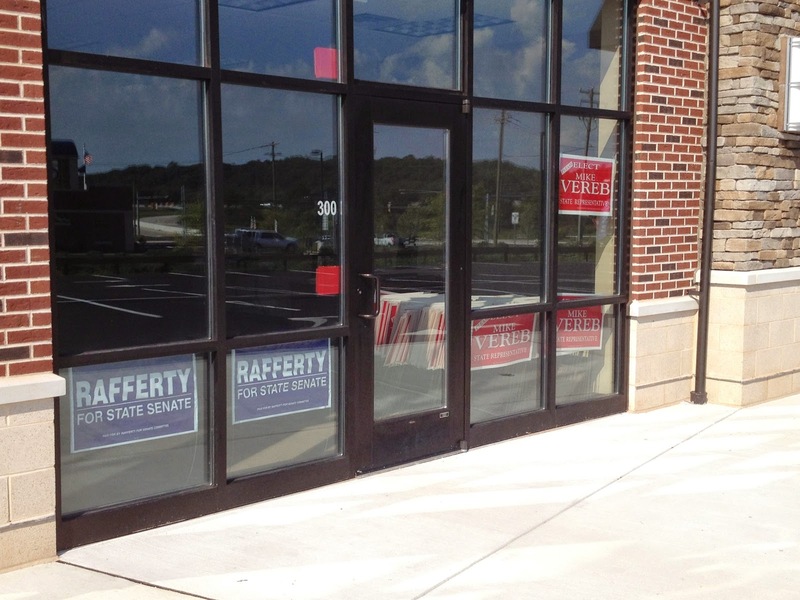 As seen on the signs in the windows. 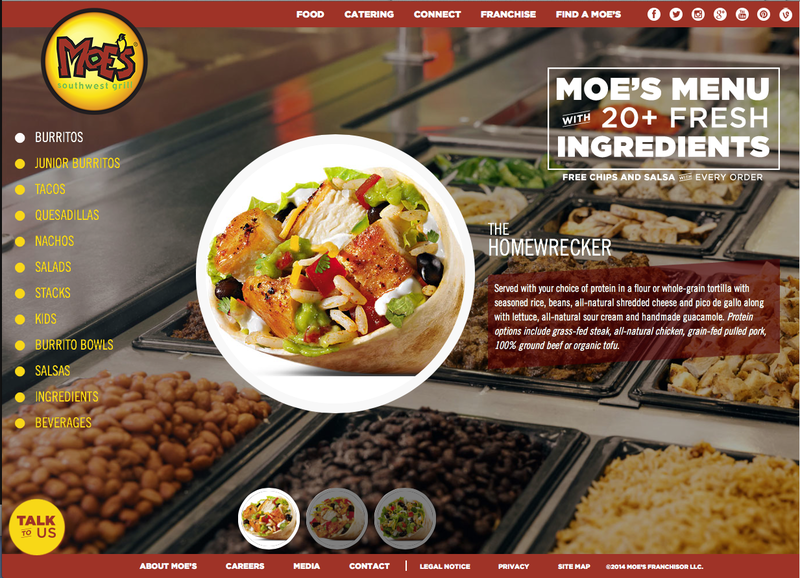 Expect Moe's to open Thurs. 16 October. Work was in progress at Can Tho nails. 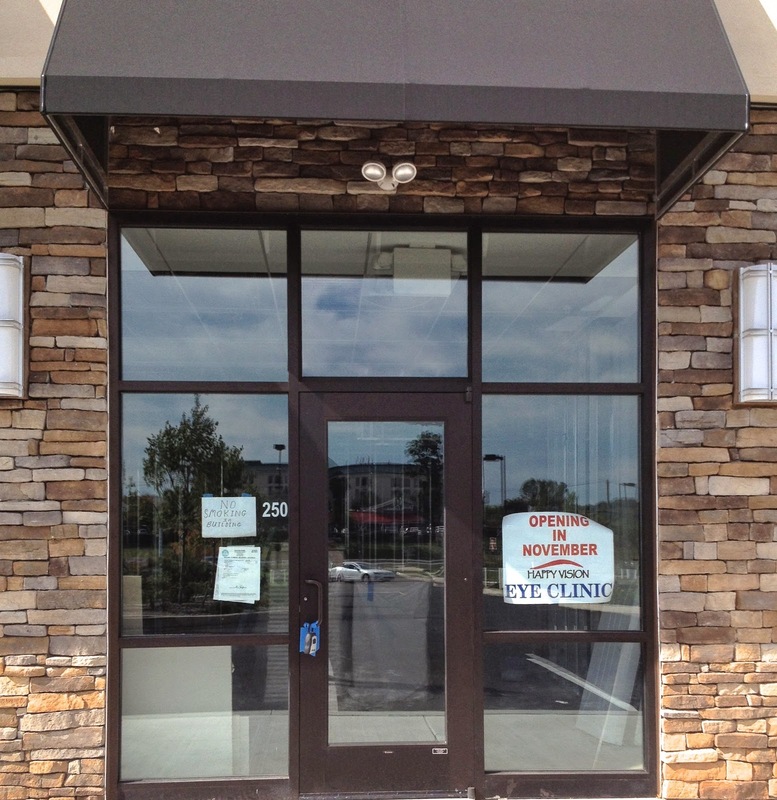 Opening in November will be Happy Vision Eye Clinic. I hope I can hold my excitement in check. I stopped by the soon to open Buffalo Wild Wings on Wed this week. My intention was to see if BWW had any opening specials for new customers as did Uno last winter. Uno handed discount coupons to anyone who visited just before opening. I was lead to assistant manager Danielle who was obviously concentrating on getting BWW open. She told me the only opening special was the free snack wings for a year presented to the first 100 customers at 10:00 on Monday morning September 22. The conversation ended there with a long stretch of silence. I thanked her and headed outside to get some photographs of the 13 big screen TVs hanging outside on the radiant heated patio. The TVs are arranged in three groupings. As seen in this photograph the nearest has 3, the middle 6 and the farthest 4. 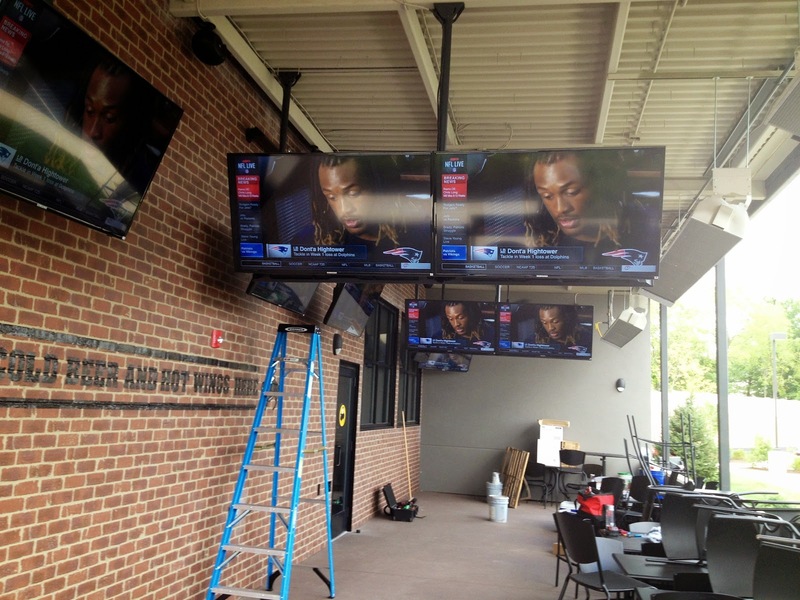 Because of the orientation of the patio many of these TVs will have glare on them in the daytime. The TVs facing Egypt Rd and Wendy's suffer with occasional headlight glare at night. The radiant heater can be seen on the open side of the covered patio facing in and down. A friend was wondering if there would be any temporary rain curtain on the open side? I think plastic curtains may be too close to the heaters. It will only be one week before BWW opens. Then we will see the end results. and the last store on the right will be AT&T wireless. I would really like to see more prepared food stores. But, who am I ...? 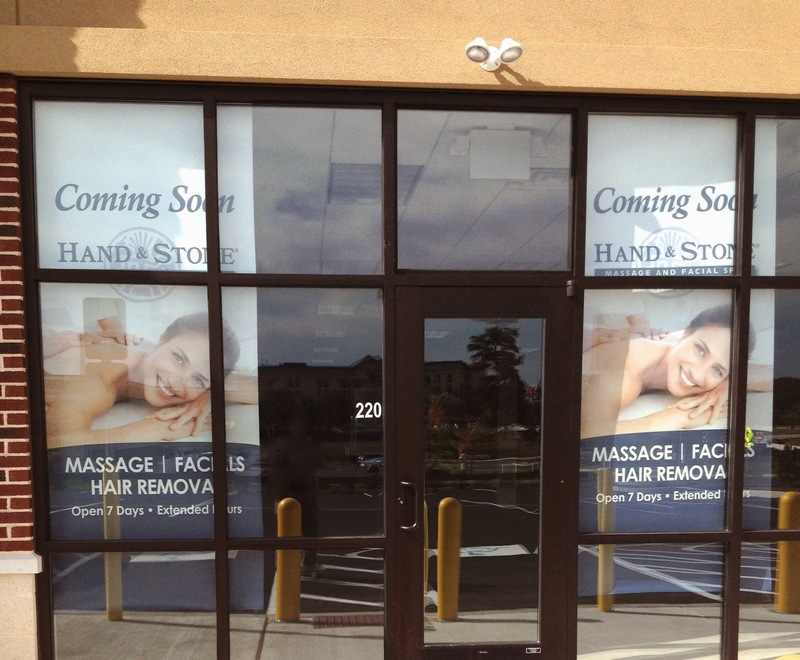 Stores in the Oaks Shopping Center are beginning to show signs of life. 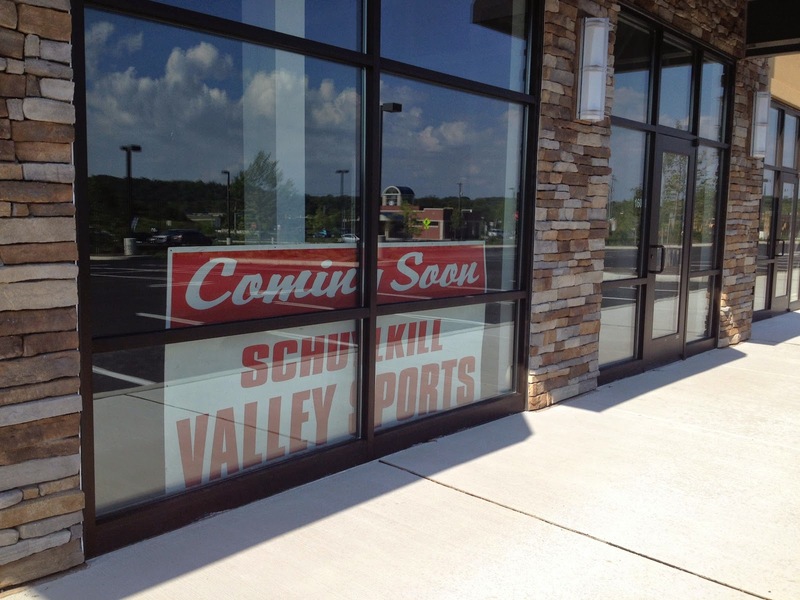 The farthest store on the right, behind both Wendy's and Wawa, will soon have a Moe's Southwest Grill. They are currently accepting job applications. The opening date is 16 October 2014. They have a large menu viewable online. Reminds me of both California Tortilla and Qdoba. 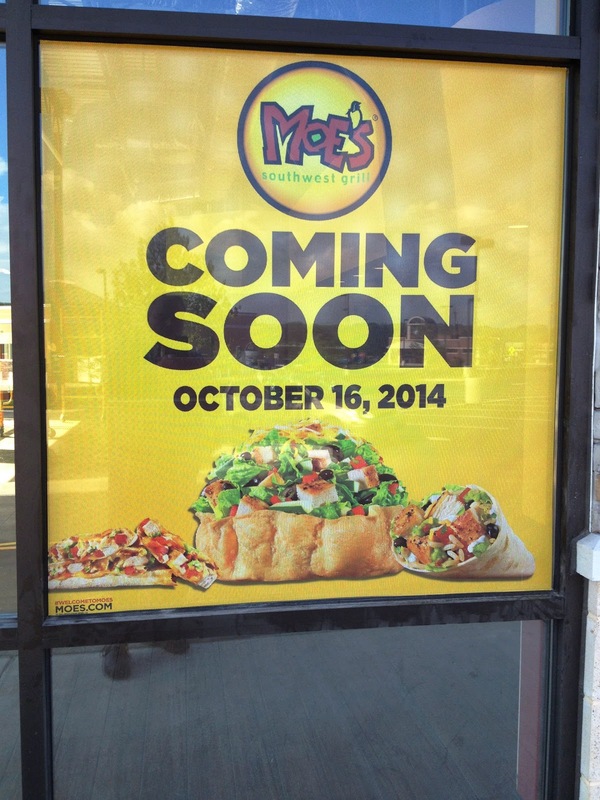 At least Moe's will be closer than either of the other two being in Royersford and Audubon respectively. 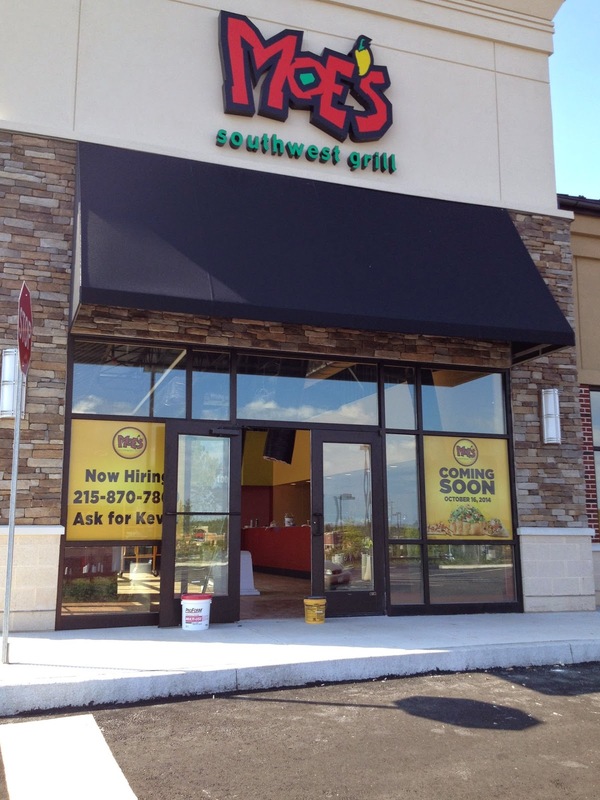 Moe's makes five new eating establishments on Egypt Road near US 422. That continues to make the area a desirable stop along the fast road. 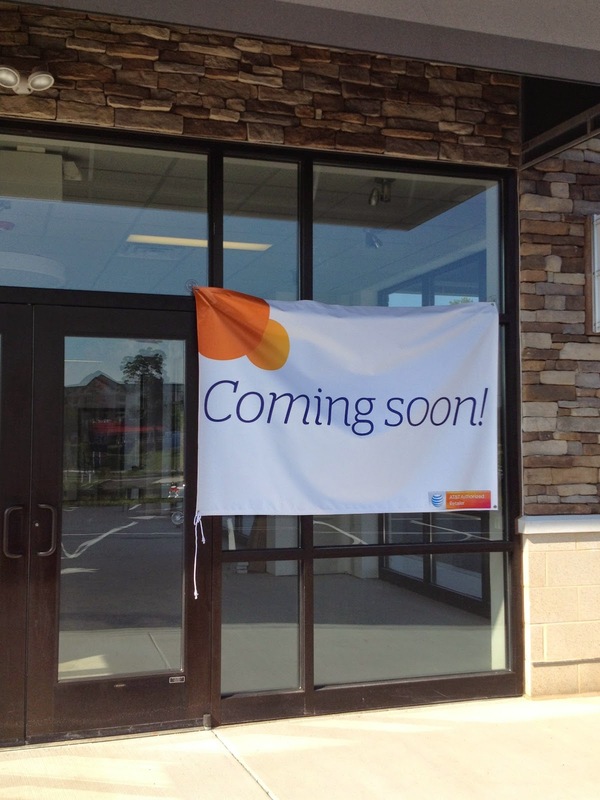 There are other stores opening in the next few months also. None of them offer food. So much of my idea of a totally food destination. 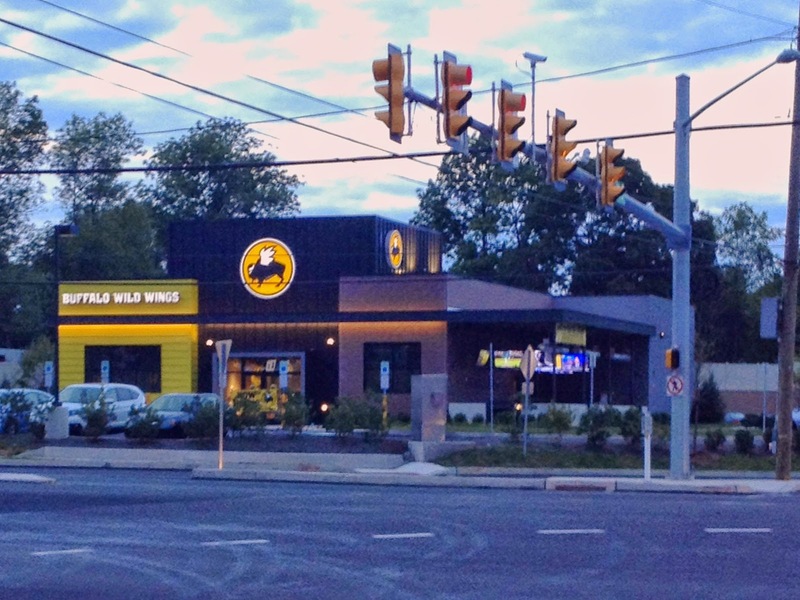 If you are driving on Egypt Road, west of US 422, you can't miss the Buffalo Wild Wings at the Oaks Shopping Center in Oaks, PA. The yellow exterior of the building jumps up like a flagman wearing a traffic yellow jumpsuit. The exterior seems complete. The interior of the building is still under construction. 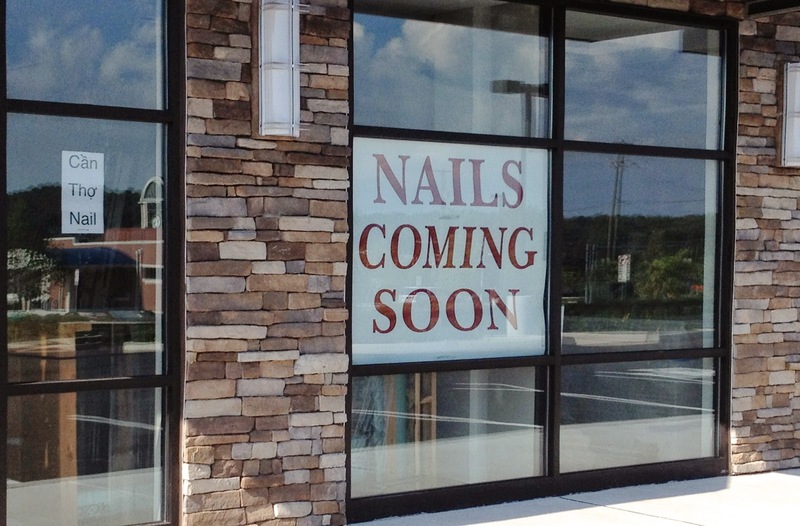 If you have been waiting for this place to open, take a deep breath because the anticipation is nearly over. Job applications are currently being accepted. Employee training starts on Wednesday, 10 September 2014. Buffalo Wild Wings starts serving Monday 22 September 2014. Here is an interesting fact as printed on the banner shown above: The first 100 guests receive a coupon book for free snack wings for a year. That should create some excitement. I can see the line forming now. Friday night a few stalwart wingsmen begin to gather. It's not long before a line takes shape at the door. Aluminum lawn chairs squeak open, nylon pup tents pop-up, acoustic guitars are strumming and singing fills the air. No wait a minute that was the Philadelphia Folk Festival a couple of weeks ago. Replace the pup tents, guitars and singing with sports talk radio, plastic ponchos and mobile phones. Almost two days later, at 10am, Buffalo Wild Wings opens for service and the first 100 guests receive the coupon books. There will be no turning back after that. 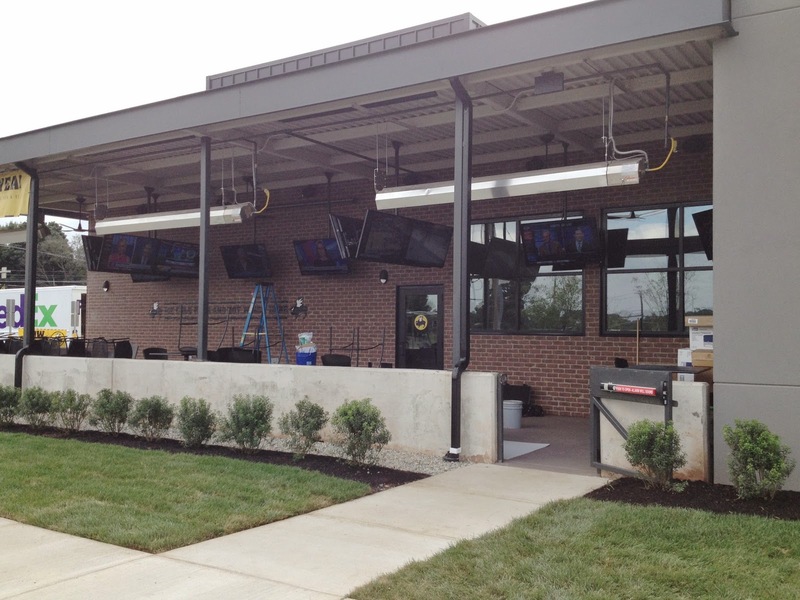 Hot wings, cold beer and exciting sports pumping out of nearly 65 big screen TVs, inside and out! What more could a guy ask for? Well maybe the men's room. At this time, there is no denying a great deal of tension exists between Russia and Ukraine. Russia took the Crimea from Ukraine. Now Russia is invading southeastern Ukraine. (Somehow, I think vodka is somehow involved.) However, here on my blog, Ukraine is on the verge of overtaking Russia. In an event as inconsequential as number of page views, but overtake nonetheless. 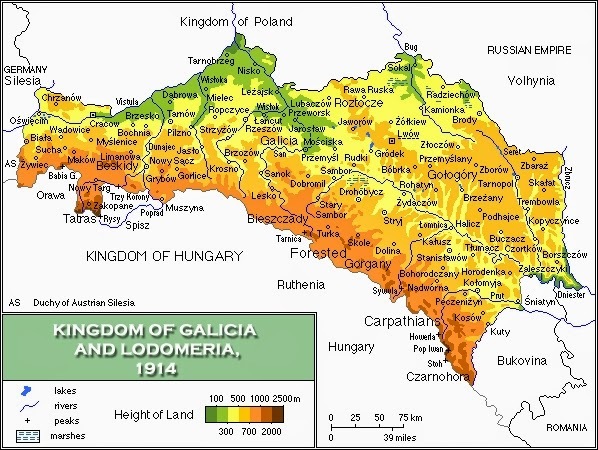 My understanding is that my ethnic heritage is of Ukrainian, Byelorus or Russian and Galician, a pre-WWII country west of the Russian Empire, east of Germany, north of Kingdom of Hungary and south of Poland, currently part of Ukraine. Does that mean my blog is being visited by Ukrainians because they know of my ethnic heritage? Or are Ukrainians visiting to read about my gardening techniques? 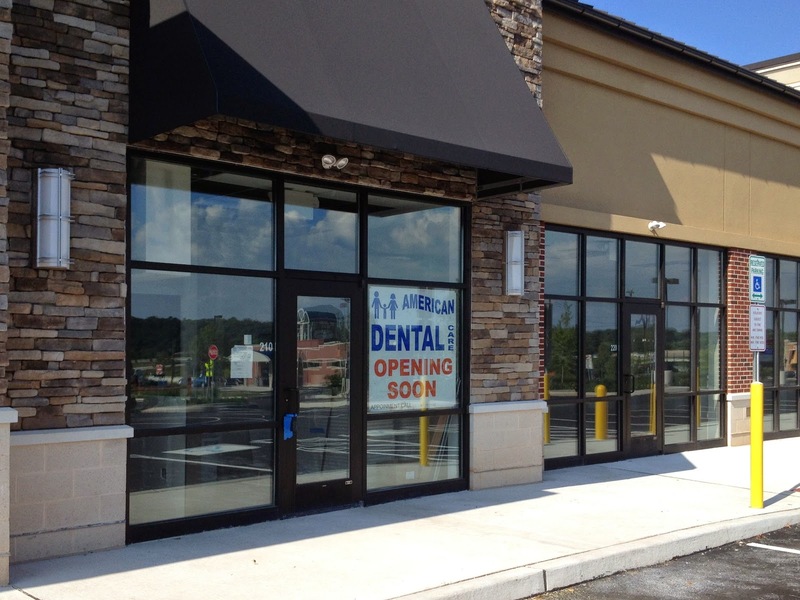 It could be the fact that the Oaks Shopping Center is near completion? Whatever the reason, Ukrainians have recently been visiting my blog in considerable numbers. At the beginning of 2014, Ukrainian visits were behind Chinese visits. Not now. Ukrainian visits have increased significantly since the Crimea situation. So much so that China is near half the visits of Ukraine. Slow down a second here and wait for it. Here it is. The big news. 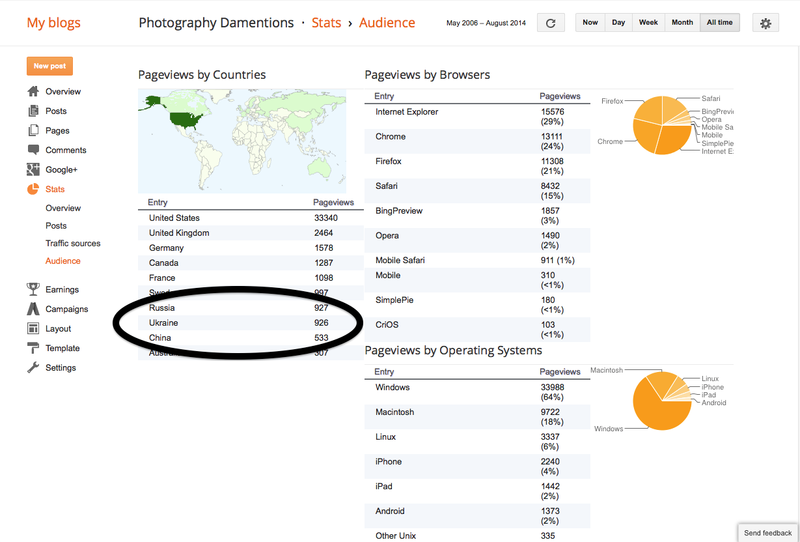 Ukraine is just two visits from overtaking Russian visits to my blog. Not earth shattering, I will admit. On the global level, it may even be a tiny accomplishment. No, a minuscule accomplishment. However, no matter how infinitesimal an accomplishment it may seem, I am sure at this point in time, the Ukrainians will take the win. ©Damyon T. Verbo. Awesome Inc. theme. Powered by Blogger.